Of the widely used building materials (excluding polymers), silicate brick is one of the youngest. Its technology was developed in the late 19th century, but mass production and use began in the middle of the last century. 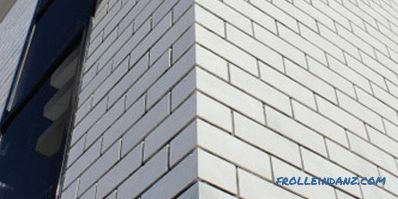 We will tell you more about what a silicate brick is, the pros and cons of this building material. What is a silicate brick and what are its features of production? 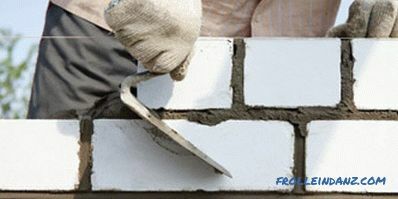 Before we take a closer look at the advantages and disadvantages of a silicate brick, it is necessary to understand what kind of material is technological plan. 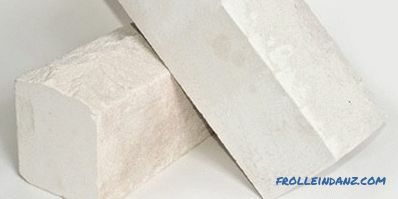 Silicate brick is almost the same as natural limestone material, which has been used for more than one thousand years. But, as is clear, almost always natural stone (including due to delivery costs) is much more expensive than artificial ones. 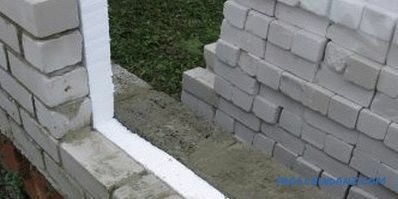 Lime-sand mortar, from which the production of silicate brick is carried out, was the most common masonry material before the invention of Portland cement, but it has a huge minus - it is not moisture resistant. Then, after a few years, it becomes resistant to the effects of water, but these periods are much longer than the standard now concrete. 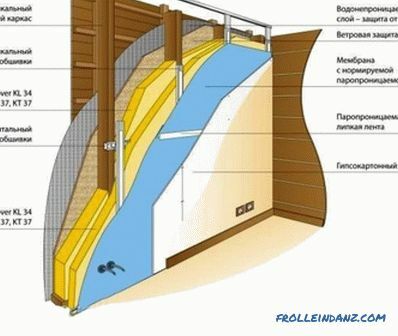 Experiments with the long-known mixture of lime and sand began almost simultaneously Russian civil engineer Prokhov and Swede Rydin, they tried to make walls and even entire houses only from him, as it was impossible to achieve high quality (especially used concrete based on portland cement). The German physician (not the builder !!!) Bernardi advanced a little further, he made pressed bricks, which then hardened in the air. But naturally finished products had no decent moisture resistance. Compatriot doctor (also a doctor, but in the field of chemistry) Michaelis tried to process a mixture of lime and sand with steam under pressure. And so silicate brick appeared. October 5, 1880 can be considered the date of his birth. Moreover, his invention was not based on calculations (like almost all scientific breakthroughs of that time, take at least the biography of Thomas Alva Edison who created the light bulb, phonograph, etc. ), but the result of the trial and error method. New material gained popularity. Even in the Russian Empire at the beginning of the last century, nine factories producing silicate were already operating. But the present wide distribution of this material falls on the 50s (this can be clearly seen from the date of the construction of white-brick buildings). The manufacturing process of silicate bricks is fairly simple (unlike the production of other building materials), but it requires special equipment. Therefore, silicate is produced only industrially, in small workshops its production is unprofitable. 1. Mix preparation - amount of sand and lime is metered, if necessary, water. The necessary additives are introduced (to adjust the composition). The mixture is thoroughly mixed. 2. Molding - the composition is pressed. 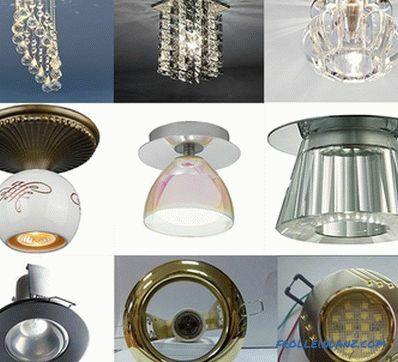 Moreover, unlike ceramic products, it often remains in forms until the last stage (it all depends on the production line). 3. Autoclaving - molded products are sent to sealed chambers for processing "sharp" steam. For clarification, the steam has a temperature higher than the boiling point of water (100 degrees Celsius) because its pressure is greater than atmospheric. 4. 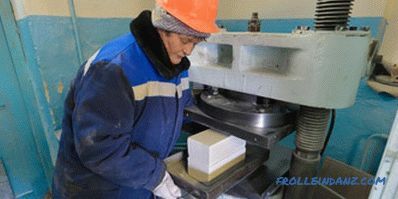 The brick is unloaded from the molds, passes the final inspection and is sent to the consumer. 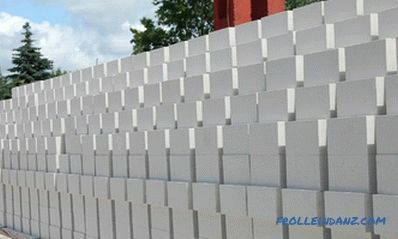 It should also be noted that the production of foam and gas silicate blocks is very close to the production of silicate bricks. Therefore, plants often produce the entire range, and the same autoclaves are used for heat treatment on the lines. 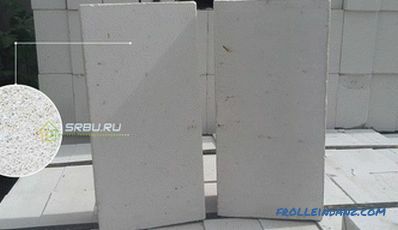 According to the main characteristics, such as density and frost resistance silicate brick no different from the more familiar to all ceramic. Characteristics and properties of silicate brick are regulated by GOST 379-79 "Silicate bricks and stones. Technical conditions". thermal conductivity - 0.38-0.70 W / m ° C.
Frost-resistance is the ability of a material in a water-saturated state to alternately freeze and thaw without changing its characteristics. Frost resistance is measured in cycles and is denoted as: "Mrz". or "F". Strength is the material's ability to resist internal resistances and deformations. Denoted by the strength of the letter "M" and a specific number. The digital value indicates what kind of load per 1 cm 2 this brick can withstand. 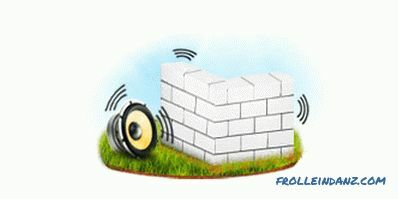 Hollow and hollow bricks . 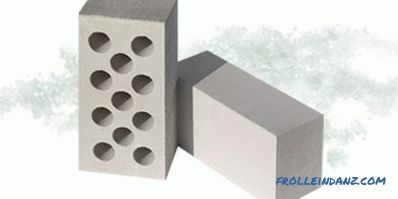 And here there is already a difference with ceramic bricks, which is that the voids in silicate are usually cylindrical in shape and are located in the center of the array, ceramics have more of them, they can be of the most varied form and more evenly distributed throughout the volume of the product. 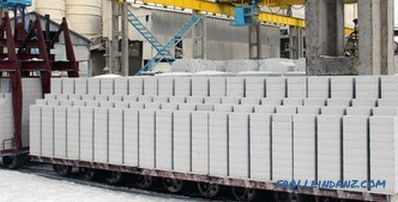 Many companies also offer the manufacture of bricks to the size of the customer (medium or large batches), this is due to the fact that it is often formed not in extrusion presses (which are difficult to change), but in individual forms. It is due to the use of such cheap raw materials as lime and sand (albeit exceptionally high-quality). Also for the production of such bricks can be used hot steam from CHP is still cooled in cooling towers. 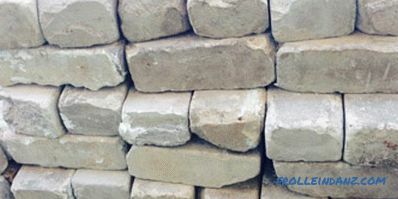 When producing ordinary bricks, the raw material is more expensive and requires preliminary aging (like brandy, clay must lie for at least 3 winters in the dumps) of preliminary grinding and drying of the blanks. The energy consumption for the release of silicate is an order of magnitude less. Almost always, the masonry of silicate is cheaper than even the use of lightweight concrete with the same bearing capacity. 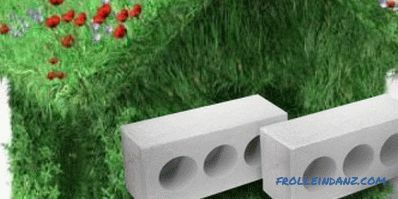 This brick is more environmentally friendly, it does not contain components harmful to health. In terms of the level of radioactive radiation, it generally differs in the minimum value of the background compared with not only natural but also artificial construction materials. Excellent compatibility with any masonry solutions from traditional cement-lime to polymer-based adhesives. Silicate brick has a high aesthetic properties. 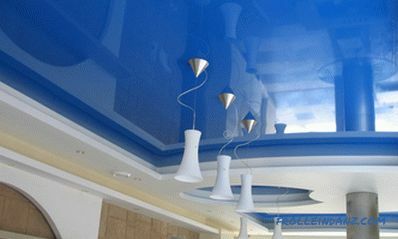 The natural white color is easily changed by the introduction of pigments that dye the material throughout the volume, and not only in the surface layers. Each brick has the same geometry, which makes it easier work on its installation. 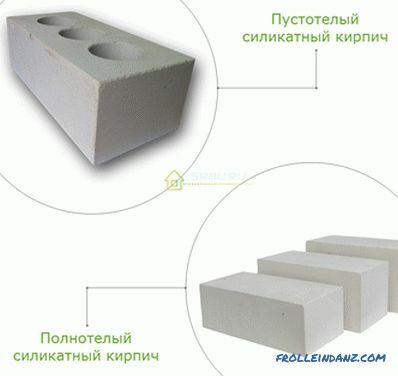 The strength of silicate brick ranges from 75 to 200 kg / cm 2 . 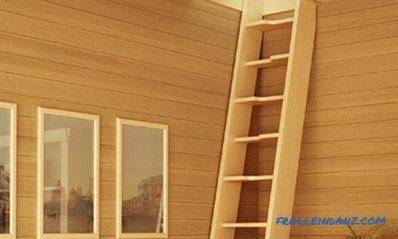 Due to the fact that the material has a high specific strength it has good soundproofing properties. 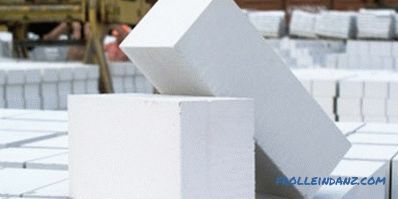 The frost resistance of a silicate brick can reach up to 50 freeze-thaw cycles, which is undoubtedly , for the better, affects the durability of the material. But, nevertheless, the main advantage of silicate bricks is its low cost, with excellent performance properties, which is why it is so widespread. It is heavier for ceramics and even for natural limestone (by 30-15%). 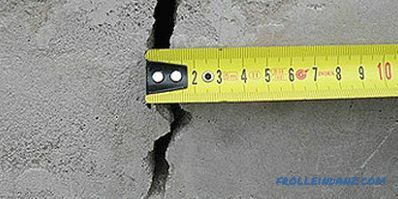 A foundation with greater bearing capacity is required. Although in some cases, massive walls are a plus. Although it is not inferior in hardiness to ceramics, with constant frost resistance when exposed to water, silicate begins to break down. Therefore, it is not used for plinths. In addition, often during heavy rainfall, the walls of silicate bricks are soaked with water, so that the humidity rises inside the premises. Silicate (not even full-bodied) has a better thermal conductivity. 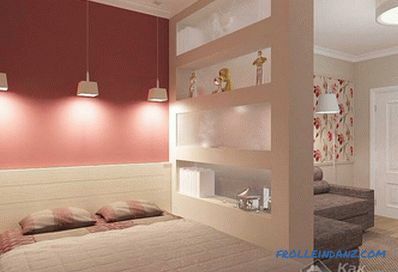 Therefore, you need either an increase in the thickness of the walls, or additional insulation. Also, unlike ceramic, silicate does not stand high temperatures. Therefore, for chimneys, and even more so furnaces, it can not be used either. It can unpredictably collapse from sudden heating and cooling or constant exposure to flame or flue gases. 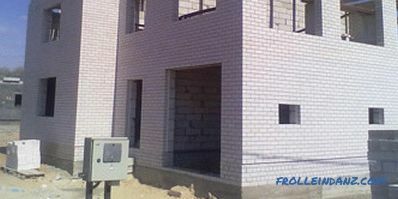 Only for sale rectangular bricks with right angles. Water absorption of silicate brick can be up to 7 - 8%. What does not allow to use this material for construction of various elements where the increased humidity can be observed. 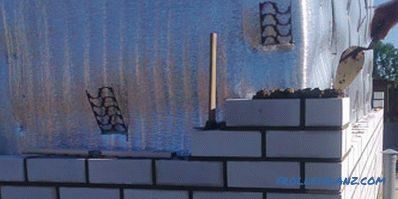 Note: From my own experience I often see that in rural areas silica brick often serves as an alternative to refractory. Fire supervision cannot naturally determine this.But it is worth warning against the use of such materials for furnaces. They can serve a good few years. Any such furnace is necessarily cracked (through which smoke escapes, and in the worst case, a flame). 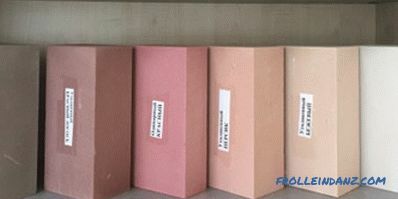 This is due to the fact that it is impossible to ensure reliable laying of silicate on clay. They have almost an order of magnitude different thermal expansion coefficient. When heated for a long time, a silicate brick can collapse almost instantly. Burst flames will serve as a source of fire.